This is the third of a three-part series about my trip to the Oregon coast. Be sure to enjoy all three parts! I awoke to more typical area weather on day three of my trip – fog and light rain, which would persist throughout the day. It was also much colder and a little windy, which altogether made it just plain chilly outside. I still managed to get some outdoor photos, but found that indoor pursuits were far more pleasant. I took a quick side trip in the morning to the Devils Punch Bowl near Otter Crest. 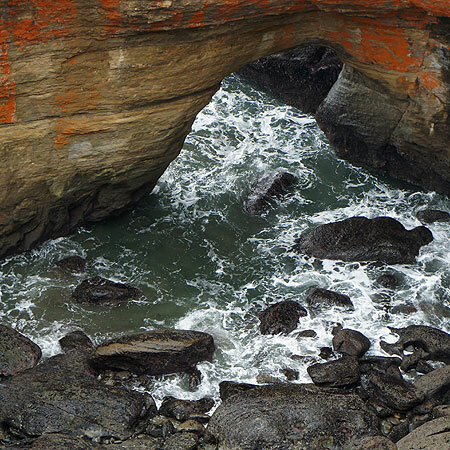 The water surging in and out of the orange stained rock formation was rather mesmerizing, and I’m sure would have been even more spectacular at high tide! The ocean had a completely different feel and color today, rough and gray, without the shades of blue and green I had seen just yesterday. I longed-for my own cottage by the sea, set on top of a cliff, with large picture windows looking out over the stormy ocean. I could just curl up in a comfy chair with a cat in my lap and a good cup of warm apple cider, and sift at my leisure through some favorite magazines while admiring the view. But I only had this final day here, so no time for daydreaming. I promise myself that on another visit I should allow time for a day of pure ocean watching. I visit the Newport area again, and this time stop to see another smaller lighthouse. 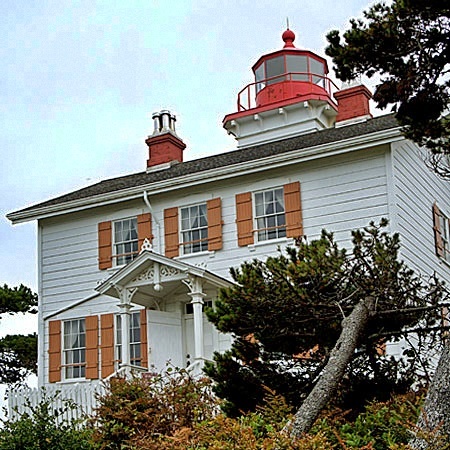 The Yaquina Bay Lighthouse was built in 1871, and like the Yaquina Head Lighthouse has been completely restored. If you love lighthouses this is a great place to visit, with two beautifully restored lighthouses within very close proximity to each other. The Nye Beach area in Newport has some very interesting local shops. I spent quite a bit of time shopping here and staying out of the cold weather. 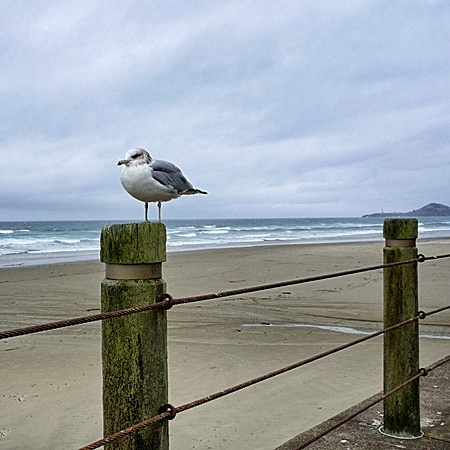 The beaches were completely empty, except for some stoic sea gulls perched atop the pier posts by the beach parking lots. Guess everyone was staying indoors. 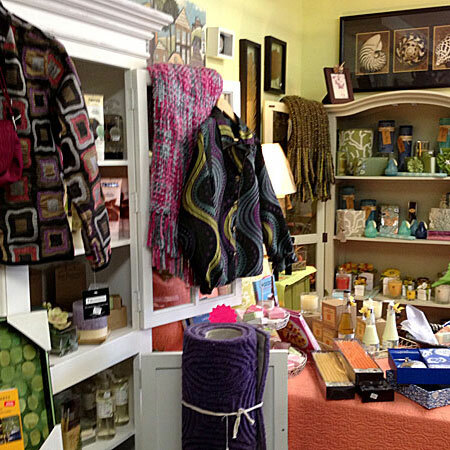 I particularly liked shopping in the Coastal Breeze store and bought several items there. Decor items I especially loved were the Hot Skwash velvet pumpkins with the real pumpkin stems. They are quite stunning; I’ve never seem anything like them before. They are locally made (just outside of Portland) by Daria in a family-run business. If you have the chance read her ‘about’ page. I just love a good story about a successful entrepreneur! After shopping I had a late lunch at a 50’s style diner off Hwy. 101 in Newport, the Flashbacks Fountain and Grill. 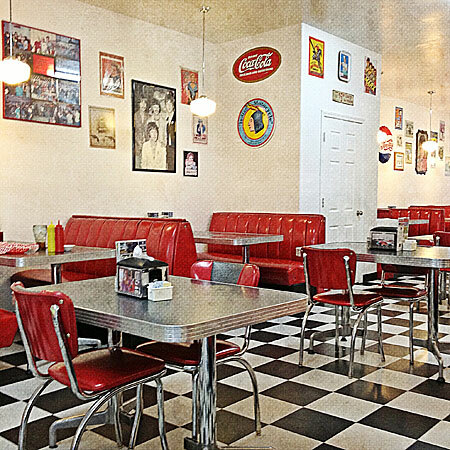 It was really neat with its black-and-white checkered floors and pops of red. The hamburger and fries I had were yummy. They had a very large fountain bar where you could order just about any type of shake or malt you desired, but I saved that treat for a local place in Depoe Bay where I knew I could get an ice cream cone with some premium Tillamook ice cream. Talk about GOOD, this ice cream is the best, as is the Tillamook yogurt that was served daily at the Channel House Inn. I looked for Tillamook products upon my return to Texas, but sadly could only find their cheeses in stock locally. On a future trip to Oregon I will not miss a visit to the Tillamook Cheese Factory, where I can taste all of their delicious ice cream flavors! Oh, and did I mention that they also make fudge with their creamy Tillamook butter? It must taste like a little piece of Oregon heaven. 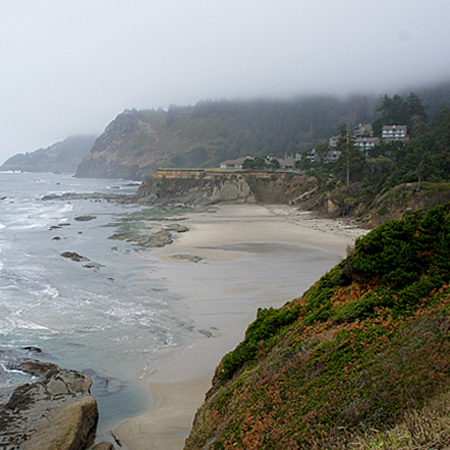 This is the second of a three-part series about my trip to the Oregon coast. Be sure to enjoy all three parts! So much to see and so little time! I just love the road untraveled, and on Day 2 was able to visit some very unique places. 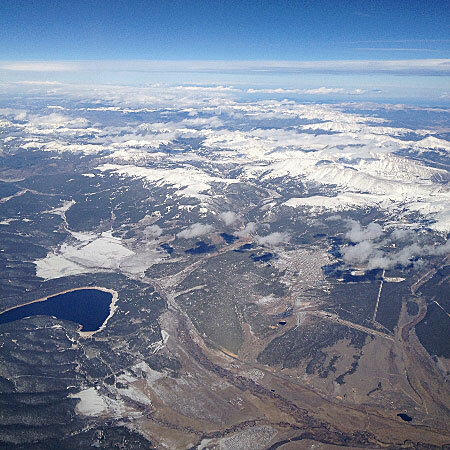 It was a beautiful day full of sunshine and perfect temps with highs in the mid 60’s. 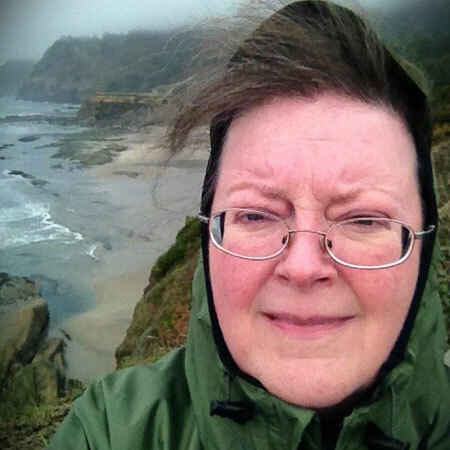 I stopped at plenty of turn-outs along coastal Highway 101 to see (and hear) the ocean, including a stop at Cape Foulweather. According to the signage, Cape Foulweather was discovered by Captain James Cook, the English explorer on March 7, 1778. The weather was particularly stormy on the day of the discovery (winds of 100 mph at the cape are not unusual). This was the first geographic location named on Captain Cook’s voyage to the north Pacific coast. Once accounts of this voyage were published, world interest was aroused and the fur trade followed. There were no crowds this time of year; I can only imagine how busy these little coastal towns become in summer. My main stop was at the Yaquina Head Lighthouse. They had a wonderful visitor center, lighthouse that I was able to tour, and a marine tidal pool with a group of sunbathing harbor seals. The walls at the base of the lighthouse are a full 15 feet thick! The lighthouse has been beautifully restored, and with the 93 foot climb to the top you can see the intricate Fresnel lens, which has been the guiding light for incoming ships since August of 1873. 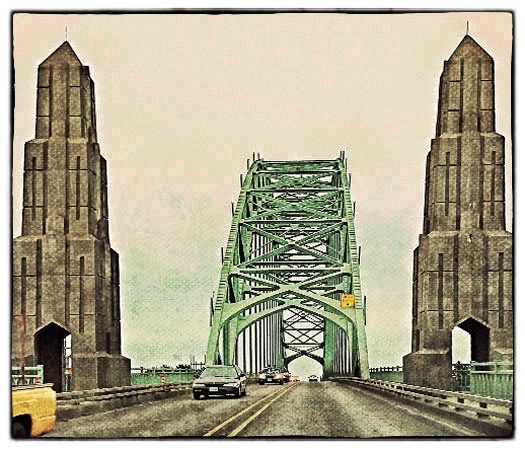 Next stop was the city of Newport with it’s beautiful Yaquina Bay Bridge, opened in September of 1936. 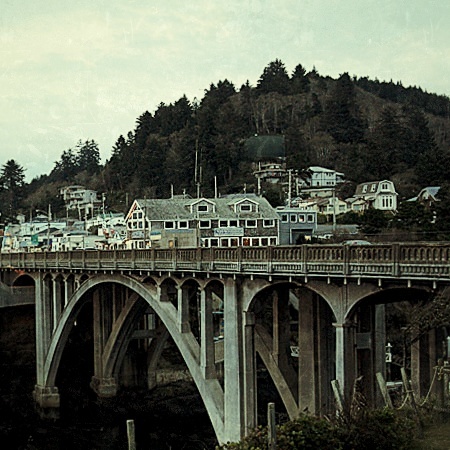 It is one of the most recognizable bridges along coastal Highway 101. 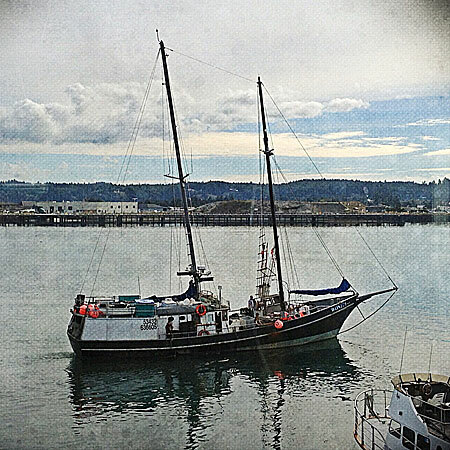 I had fresh fish for lunch in Newport along the bay front. Sea lions were out on the rocks and piers and entertained both locals and tourists alike with their constant barking and jumping out of the water! I tried to capture some of the sea lions in photos, but they were just a little too distant for good pics with my camera. Shopping on the bay boulevard is great. I picked up a raku pottery art piece from Breach the Moon Gallery that is engraved with a redwood tree branch. Every time I see it I am reminded of the beautiful large conifer trees that I love so much, and cannot grow in my beloved Texas (sigh). For dinner I headed to the Tidal Raves Restaurant in Depoe Bay. They had an unbelievable view, and equally good food. I had the evening ‘house special’ of penne pasta with crab and shrimp. They do take reservations, but make them early, because this place was busy the entire time I spent in Depoe Bay!